The best was saved for last. A clash of the West Coast’s best takes place this Saturday, as No. 1 Cal men’s swim caps off the dual meet season at No. 5 Stanford, its toughest dual-meet opponent this season. The Bears and the Cardinal both come in undefeated at 5-0, with wins over the same opponents — Utah, Pacific, Arizona, Arizona State and USC. The two squads last competed in Los Angeles against the Trojans, with the Cardinal barely victorious in a final score of 151.5-148.5 and the Bears winning handily, 168-123. The Bay Area archrivals last met in November as part of a triple distance exhibition meet in Berkeley. Then-No. 2 Cal swept both relays and all but one individual event from then-T-No. 7 Stanford. The Cardinal lineup features two of the country’s top distance swimmers, sophomores True Sweetser and Grant Shoults. Sweetser’s 1000 free swim at the Texas Invitational is the second-fastest in the nation this season, while Shoults has the nation’s fastest 500 free swim this year, touching first at the Texas Invitational in 4:11.34. Both have swum NCAA ‘A’ times in the 1650 free, ranking second and third in the country. 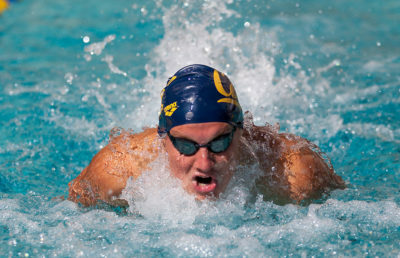 The Bears will counter in the distance with junior Nick Norman, who won both 500 and 1000 free against the Trojans, as well as freshman Sean Grieshop, who has the Bears’ fastest 500 free time this year. Freshman Ryan Hoffer, last week’s Pac-12 Swimmer of the Week, will lead the charge on the sprint side after a scintillating performance at USC, swimming to two individual wins in the 50 and 100 free as well as the final leg of the winning 200 medley relay squad. All four Cal divers will be in action for the final time before Pac-12 championships as well, after a shaky outing in USC. The Bears will see star Cardinal senior Tarek Abdelghany, two-time Pac-12 Diver of the Week this season. He will be honored along with six other seniors as part of Senior Day. 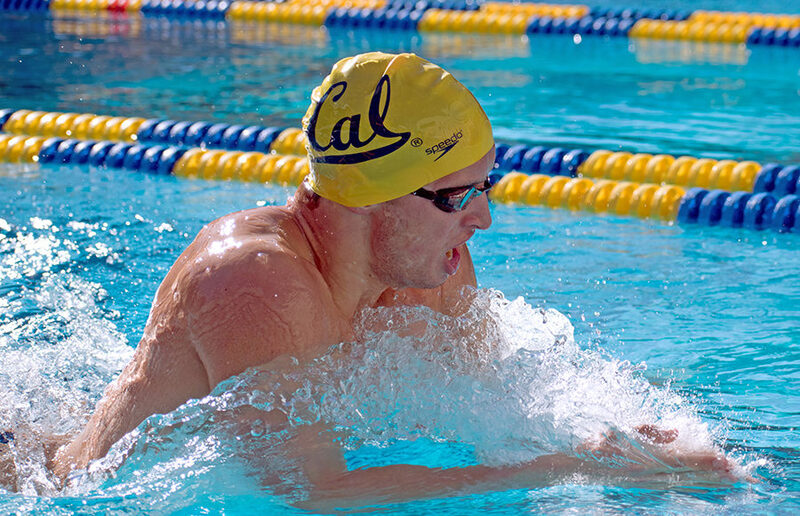 Even as Cal prepares for the upcoming championship season, which starts a week after the dual meet against Stanford, Durden has maintained a consistent dedication to the process — something he has stressed from day one. That mindset has set up the Bears for another run at the crown jewel — the NCAA title in March. After three consecutive runner-up finishes, this squad may have the right mix of talent and depth to get them over the hump. “They’ve really just been an absolute blast and I’m trying to enjoy every second of this, because I know, having done this for a long time, this is just a special group and a special dynamic,” Durden said.